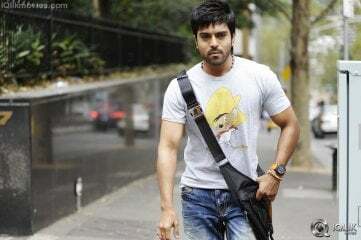 Ram Charan is the chosen one to get established as a quick star in the present day Telugu cinema. He is definitely a unique performer standing ahead of the rest. Ram Charan is also one among the few actors of the south who was endorsed by the most reputed brands like Pepsi, Airtel and many more. Being a combo of the Mega star and the Power star, Charan certainly leaves no doubt in standing up to the people’s aspirations of being a young ‘Mega power’. Apart from being a star, Ram Charan is also a young entrepreneur and an accomplished equestrian (horse-rider). His love for horses is very well known among his business circles and friends. He is the proud owner of some of the best bred horses in the world. Konidala Ram Charan Tej is the son of one and only dynamic and legendry Telugu hero now also a Central Minister, Mega Star Chiranjeevi. Even before he started to act, the Mega Star’s son had a huge fan following and millions of well-wishers as his surname triggered massive reputation for him. Ram Charan had to live up to the expectations of his father’s and uncle’s majestic image and so was on heels and toiled hard from the time he decided to enter the Telugu film industry. The future star left no stone unturned to prepare himself to carry on his father’s legacy. He was trained in martial arts, gained perfection in western dance; adapted flexibility in acting and imbibed every other quality needed to be a star. It certainly was not a cake walk for the young hero to attain stardom with such tremendous expectations. Charan married Upasana Kamineni who is an entrepreneur, this personal moment of his was one of the most talked upon celebrity event in the state, telecasted live almost in every media channel making it a ceremonial happening to behold in almost every Telugu household. His uniqueness of performing as himself in a free style was unveiled through his very first cast in the movie Chirutha which was a decent hit. Charan easily conquered the hearts of all the audience, especially his father’s huge fan base in a single catch. 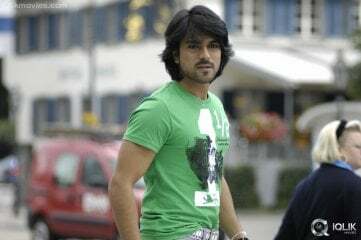 Being able to accomplish the tag as a commercial hero in the very first film itself, Ram charan certainly spread the hopes of being the next generation Mega Star, the acting flare being in the DNA. Ram Charan received the prestigious Nandi award as the best male debut for that year. The actor was well appreciated when he received the Film fare award as the best male debut. The young hero’s next movie, Magadheera was a thunderstorm hit at the box office. The movie was such a huge commercial blockbuster that it broke all the collection records of every possible hit movie right from the birth of the Telugu cinema. This stunning movie fetched six filmfare awards and Charan was awarded a special jury Nandi award and a Filmfare best actor award. By then, Ram Charan was a proud son to have fulfilled what so ever was expected of him from his family and the yet bigger fan base family of the state and established himself as a star in a short period of time. Ram Charan’s next release, Orange "could not stand up to the expectations of his earlier hit, yet the hero’s performance, dance and body language in the movie won critics appreciation." Then came Racha, it was surprise call from Charan as he roped a budding director Sampath Nandi. Though Racha came up with an outdated storyline, the movie scored a huge hit and collected a whopping amount of 40 crores. Naayak is the first film for Ram Charan with mass director VV Vinayak. 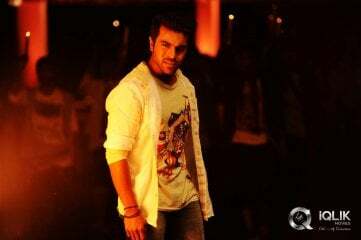 Charan played a dual role for the first time in his filmy career and as a youth leader Charan impressed the audience. This film is one of the biggest hits of the year 2013. Toofan (Zanjeer in Hindi) all eyes were on this film as Charan landed in Bollywood with this film. A remake of Amitabh Bachchan’s classic Zanjeer (1973) had huge expectations all over. However the movie bombed miserably at box office and ended as biggest disaster in Charan’s career. Controversies hit this film as the original writers of Zanjeer (1973) Salim – Javed were not consulted for remaking it. Ram Charan joined hands with Mr. Perfectionist filmmaker Dil Raju for Yevadu. Ever since the start of this film, it faced hurdles all over. This film got delayed by almost a year and is still trying its best to hit screens. The state’s political turmoil has hit Yevadu very hard and so the release of the movie was delayed for a long time. Finally it released for Sankranthi and went on to become a big commercial hit. In 2014, Ram Charan has tried for an Image Makeover and attempted a family entertainer like Govindhudu Andari Vaadele in the direction of Krishna Vamshi. The film was an average grosser at the box office but at the same time surprised trade experts by becoming one more 40 Crore plus share film to Ram Charan. Ram Charan and Upasana were classmates in college and later developed mutual love and eventually got married in 2012. Ram Charan’s wife Upasana is the granddaughter of Dr. Prathap C Reddy, who is the founder chairman of Apollo Hospitals, India’s first corporate hospital chain. In 2014, Ram Charan bought a stake in the Hyderabad based Turbo Megha Airlines and he is one of the directors of the company. 2009: Nandi Awards - Special Jury Award for Magadheera. 2009: 57th Filmfare Awards South - Best Actor for Magadheera. Again 'Mega' Voice For Salman Khan? Ram Charan Supports JanaSena, But! When Is Sye Raa Releasing, Dasara Or Sankranti? RRR Movie - Release Date Is Locked! \'Mega\' Interviews On The Way! SyeRaa: Mega Princess To Rescue Megastar? Is Ram Charan Quoting 'Big' For Sye Raa? Get Ready for Sye Raa's Surprise! Sye Raa: Isn\'t It Interesting Story? Charan's 'Mega' Shock to Boyapati? Why Charan Tight Lipped on SyeRaa? VVR\'s 62 Cr Share: A Great one? Sherlyn Copied It From Charan? End Card For VVR Movie Today? Can F2 Deliver a Hit? Alia Bhatt Roped for 'RRR' Movie? Chiru's Film With Koratala Not Called Off! Why No Hype For 'Sye Raa'? Three Stars Pose With Musician's Son! Wink Beauty Wants Ram Charan? B-town girl to shake leg with Charan!? Bollywood stylist comes on-board for RRR! Aryan Rajesh\'s Role In RC12 Revealed! Shocking: Sye Raa Set Demolished! Rajamouli\'s Attack On That Country! The Power Of Ram Charan! Pawan Gets Big Family Boost! Unnecessary Gossip On Ram Charan! Ram Charan- Koratala Will It Happen? What Happened In Star Heroes' Meeting? Why No Hype On Sye Raa Leaks? RRR Budget: Reasonable Or Over Confidence? Shankar Pawanovich Clears All Rumours! "Sye Raa" Amitabh Resembles Jagayya! Ram Charan- Boyapati Shoot From Tomorrow! Sye Raa Team To Shoot @Rajasthan! Why AR Rahman Denied Chiranjeevi's Sye Raa? Mega Team Says- Sye Raa..
'Sye Raa' Rights By Amazon Prime! Why Silence About "Sye Raa"? Rajamouli\'s Role In \'Sye Raa\' Revealed! Good News For Chiru Finally! Sye Raa Narasimha Reddy Dialogue Leaked? Baahubali Inspiration In Sye Ra? Is Amitabh Really There In "Sye Ra"? Baahubalian Support For Mega Movie? Will This Title Work For Chiru? Ram Charan's Next With Nani's Director? Can DJ Cross Khaidi 150 Collections? Who Is The Original Creator Of This Blockbuster? Baahubali Effect On Chiranjeevi's TRP? Will This Work In Hindi? Khaidi No 150 Final Collections! Rs 150 Cr For Khaidi No 150? Chiru Vs Charan: Who Is The Best? Chiru Causing Traffic Jam In Foreign Country? Is Khaidi No 150 An Anti Government Film? Pawan Kalyan Not Coming to Khaidi No 150 Event?! Chiru Vs Balayya The 15th Battle! Doubts on Khaidi No 150 & GPSK Premieres! Mega Plan of Ram Charan for Chiranjeevi?! Khaidi 150 Vs Satakarni: Who's Scoring Big? Ammadu Kummudu Vs Sundari: Which Is The Best? Is This 1st Best Song Of Chiru? Dhruva: Content Or Currency Problem? Chiranjeevi 150 Expecting 2 Lakh @ KLC? Only Two Biggies Among Big 4? Anupama Parameswaran Grabs Mega Chance? Chiru's Khaidi No 150 Audio Launch Cancelled? Arvind Swamy Rejects Three Big Telugu Offers?! Will Dhruva Reach Rs 50Cr Mark? Dhruva Collections: Why This Shocking Difference? Pawan Kalyan's Hand to Chiranjeevi? Tamil Director to work with Ram Charan Soon! Whoa! Ram Charan is Young Megastar Now? Ram Charan Not Happy with Dhruva Duration? 'Khaidi No#150' Audio In Vijayawada?! Mega Sister Missing Mega Brother! Demonetization Effect on Mega Films? Surprising: Distributor Hand to Dhruva? Change in Plan for Khaidi No 150's Release? Ram Charan's Dhruva Audio On.. Curiosity on Khaidi-MAA TV Mega Deal! Guest Appearance Lock For Big B With Chiru? Wow: Female Dancer Hugs Megastar! Ram Charan behind that heroine's Exit? This is Ram Charan - Sukumar film's Concept? Mega Power Teaser for Dasara? This New Aravind Swami will Stun You! Is Charan following Pawan Kalyan? Cherry's Drawing Talent in Discussion! Ram Charan in Prabhas\' Production?! Dhruva Shooting Delay..He is the reason? Chiru's Double Shifts From End Of Month? Mega Princess in Khaidi No 150? Milky Beauty's Special Song in Khaidi No 150? Cherry\'s Clarity on Cameo in Khaidi No.150? Thaman takes Over DSP for Chiru? Cherry back to love after Orange? What is Allu Arjun\'s Involvement in Dhruva? What is '8' in Dhruva title? Mega Powerstar Just Missed a Flop? Charan's Dhruva First Look On..
Ram Charan's Connection with MBBS? 'Dhruva' Cameraman Walk Out. Why? Ram Charan & Upasana to Act Soon? Anasuya clarification on Cherry\'s film offer! Sukumar's US Trip for Cherry? Bhale Bhale Director with MegaPowerstar? Differences b/w Ram Charan & Surender Reddy? Ram Charan Rejects Sukumar's Heroine? Cherry in Young Rebel Star's Project? Bruce lee effect: Cherry Returns Remuneration? What is Mega Powerstar doing in USA? Ram Charan In Period Backdrop? Rift between Cherry and Bunny? Paritala Ravi in Mega Remake? Maddy to Act with Mega Power Star? Krish and Cherry trying from 5 yrs! Mega Festival for Mega fans! Do You Know About Tamil 'Magadheera'? Cherry\'s Next with Crazy Director! RC in Dilemma about his Next Film? Mega Power Star's Larger than Life Climax! Childhood Friends turned into Opponents? Who would be Koratala Siva's Choice? Chiru Twist in Cherry's Film! Ram Charan Gets Record Price! Ram Charan's Movie Title Fixed! Ram Charan's Jet grabs attention! Cherry's Race Gurram Muhurtham Fixed? Sobhana as Ram Charan's Mother? Charan's New Car gets fancy '1111'! Samantha out of Ram Charan's film? Charan's Title Announcement on 27th? Cherry-Vaitla film ready to go! Ram Charan's 'Ye Maaya Chesave'?? Cherry and Bunny under Maruthi! Cherry becomes a Cop again! Pawan Kalyan donates Rs 50 Lakhs! Ready for Ram Charan's Bike Contest? Ram Charan's Story for Sreenivas? Why Is Ram Charan 'Modern Day Nag'? Can He Rewrite The Bad Reputation? Ram Charan and Rajinikanth in Worst Lists? Charan Serious About His Director's Work? Ram Charan To Decide Chiru's 150th Film? The Other Side of Ram Charan? Mega Power Star Ram Charan Injured? Ram Charan Going Without Power? Thaman Out Of Govindudu Andari Vaadele? Mega Hero To Watch Legend? Mega Powerstar Ram Charan as Ruler? Uday Kiran Effect on Yevadu Release? Yevadu Paid Premiere for Mega fans? Is Venkatesh Brother to Ram Charan? Krishna Vamsi changes script for Ram Charan? Will Yevadu hit screens as per schedule ? Ram Charan in Lagaan director's next? Kajal back in Tollywood, that too with Ram Charan! Ram Charan and Manchu Manoj - Fabulous Combo!! Early reviews give a positive start to Zanjeer! Will Charan strike where many stars lost ? Will Toofan come on scheduled date? HRC directs Police to file case on Charan! Ram Charan says 'NO' to Six Pack! Yevadu may get Postponed ! Ram Charan to meet Sanjay Dutt! Charan's pet name as title for his next? Allu Arjun to shoot for 'Yevadu'!